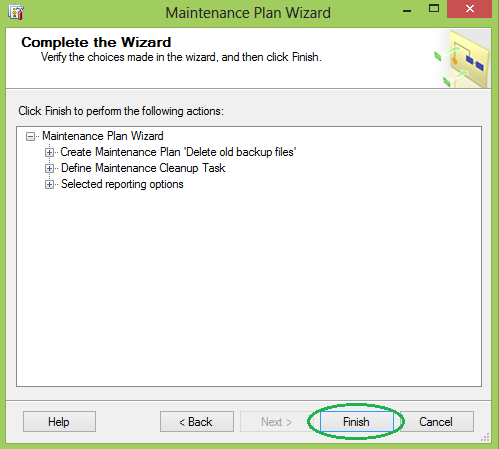 Using ‘Maintenance Plans’ this task will be a cake walk for the DBAs who are having hard time deleting the old backup files manually! 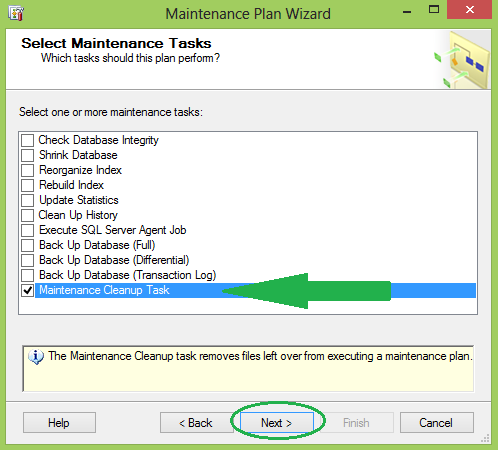 Below is the step by step process with screenshots showing how to setup and Automate backup files cleanup task using Maintenance Plans in SQL Server. 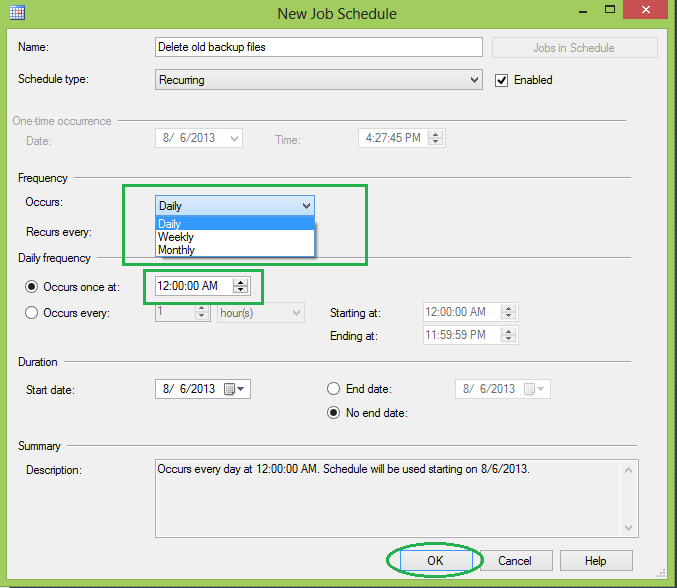 Step 4: ‘New Job Schedule’ pops out. Define a schedule. In my case I gave it to run Daily at 12:00:00 AM. Click ‘ok’ when done. Step 8: This window is the heart for this task. Under ‘Delete files of the following type’ select Backup files. Under ‘File location’ select Search folder and delete files based on an extension. 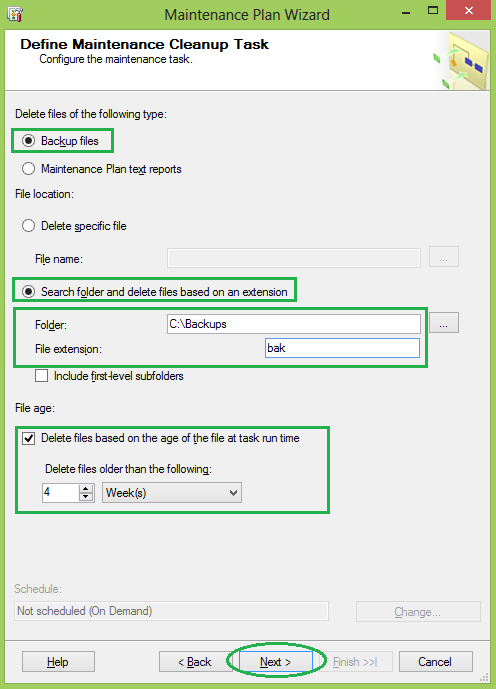 Give the path of the backup files location in Folder and “bak” (for native backups) in File extension. For Light Speed Backups you need to mention ‘lsb’. 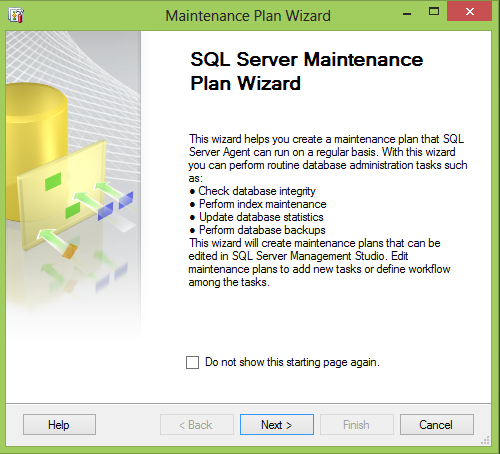 Note: SQL Agent Services must be running in order to execute the above discussed Maintenance Plan. Using maintain plan also we have to do the same activity using maintaince clean up task. What is advantage of this. As per my understanding using there no any advantage if im was wrong please correct me. Hi Siva, first of all, thanks for your comment! Above I discussed how to create a “maintenance plan” to do the “maintenance cleanup task” and how to schedule it to run as a job. The advantage is, it automatically deletes backup (.bak) files older than the retention period defined without having to manually delete them. Hope I answered to you question, if not please let me know. .bak file we have deleted. 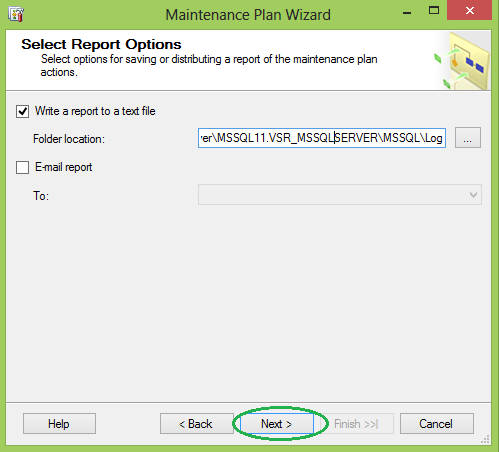 .trn files also auto matically deleted. No. 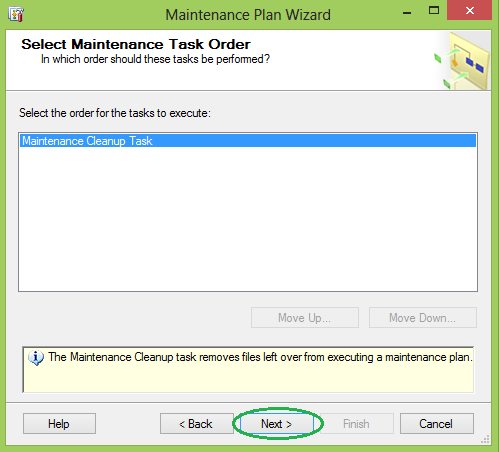 You need to create a new maintenance cleanup task to delete the log (.trn) files which can be either part of the same maintenance plan or a different maintenance plan. Thanks a lot! Really helped me out here! with maintenance plan possible to send mail with attached bake up file…. is this possible ? 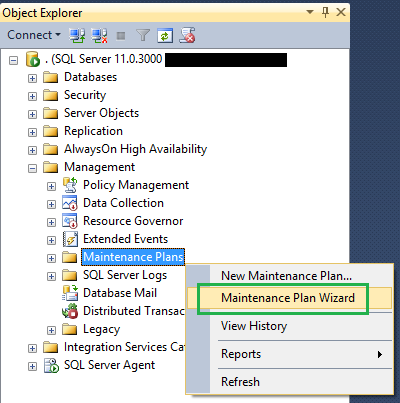 Works great on SQL 2014. Good article. 1) These are OS level backups ? 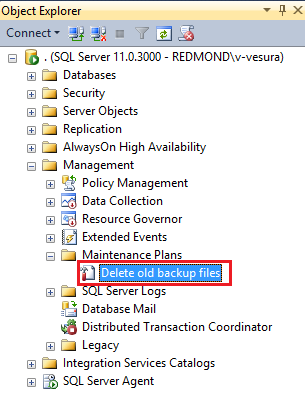 2) How sql server job is communicating with OS to delete backup files in the particular backup folder ? Can any one tell me how the call flow from sql server to OS level. Because i have an issue that delete backup step is taking all most 2 days i dont know where i am stuck………………. i wanted to exclude some of the folder , can we do it ? For example. 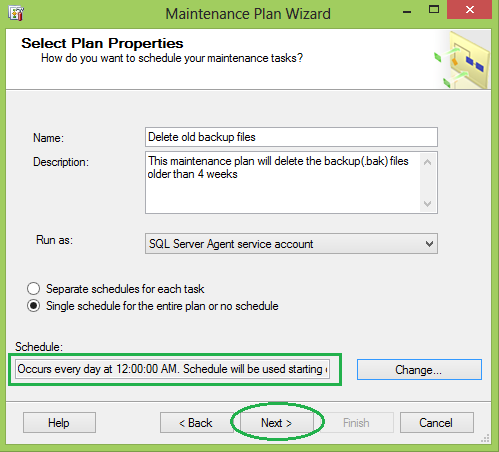 I have maintenance plan for clean up task for 2 week. That means delete any files within subfolder that is more than 2 week older. 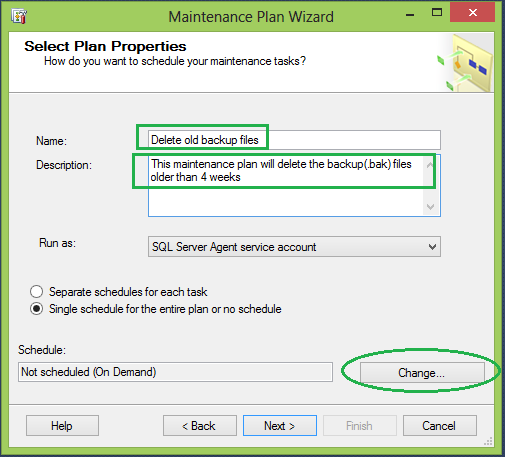 The DB back maintenance will create backup in their DB folder. Let see one of the DB that i am not using now and making it offline and backup process is not taking backup of that DB because of offline. after two weeks pass that DB backup getting old and based clean up task configuration, it delete this Back up files because it older than 2 week. Ho can we exclude of the folder from deletion ?